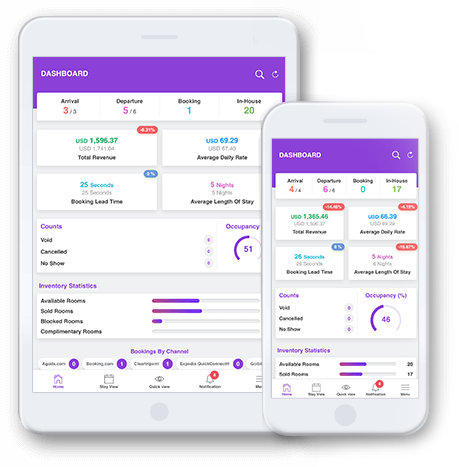 Our comprehensive hotel software will make hotel management a cakewalk for you by improving the guest experience you provide, facilitating the functions you perform and maximizing your revenues. What's in the PMS? Explained in 100 seconds! Perform prompt check-ins and check-outs for single as well as group reservations without any hassles using eZee Absolute. The cloud based hotel software handles your online and offline bookings with front office; regardless of where you get them from. The online hotel PMS automatically verifies the guests’ credit card details, reducing your last minute no-shows and cancellations. 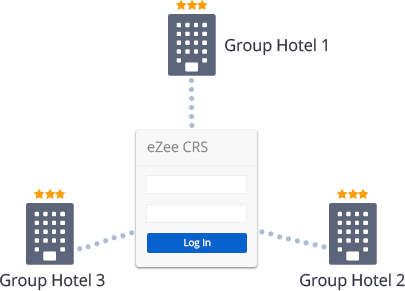 eZee PMS helps you restrict data access and operations through privileges as per the roles your users fulfill. eZee streamlines your housekeeping operations, which helps you impart ultimate experience to your guests. 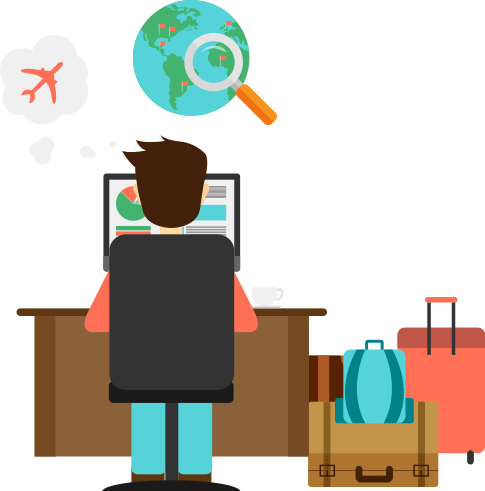 Maintain your travel agents’ sales, and their corresponding commission accurately in the online hotel management system. The most beneficial for hoteliers owning multiple properties, eZee property management system will let you easily manage and keep an eye on all your properties from a single panel. Leave your front desk and run your hotel on-the-go using our hotel management mobile app - eZee Absolute. The free product training and a turnkey solution from your dedicated account manager helps you get onboard with us quickly. Our hotel management software has varied 3rd party integrations like accounting and billing software, key card door lock and more. It's not just first-class technology that you get, but also our live support available 24x7x365 days a year to help you out with any queries. Effortless Navigation. Simplified Operations. Sleek UI. 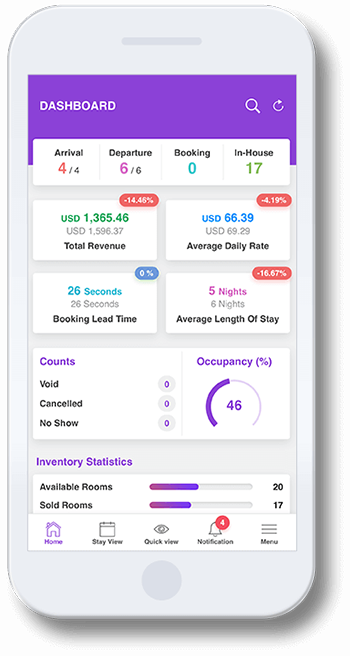 Packed with all the features you require to efficiently manage your hotel, the hotel PMS app befits varieties of properties. Operable on every kind of mobile internet connection, the hotel management app will let you regulate your hotel operations from wherever you are, in the most convenient way possible. Search anything you need pertaining to your hotel, from anywhere in the hotel management app. The sleek user interface will let you navigate through the app's functions without any interruptions. Get your hotel’s current status with the insights on crucial factors like bookings and occupancy. Manage all your bookings and reservation operations like check-in, check-out, remarks and more. Switch between your multiple properties to perform operations from the hotel management app. Keep a check on updates made in the bookings, rates, anything; regardless of your location.